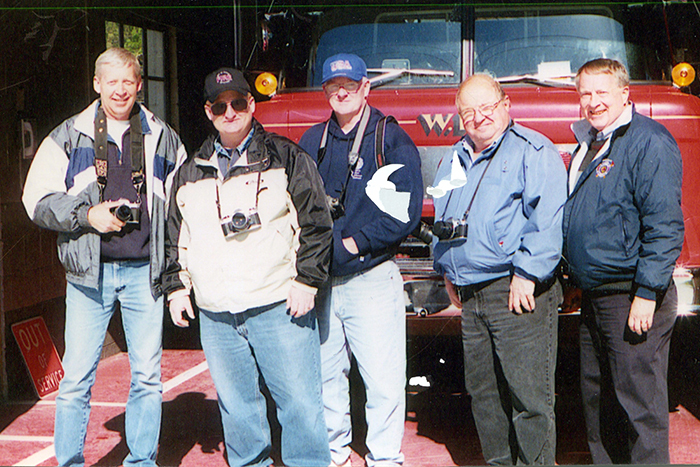 It is with great sadness that we mention the loss of a friend. 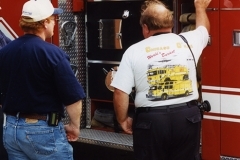 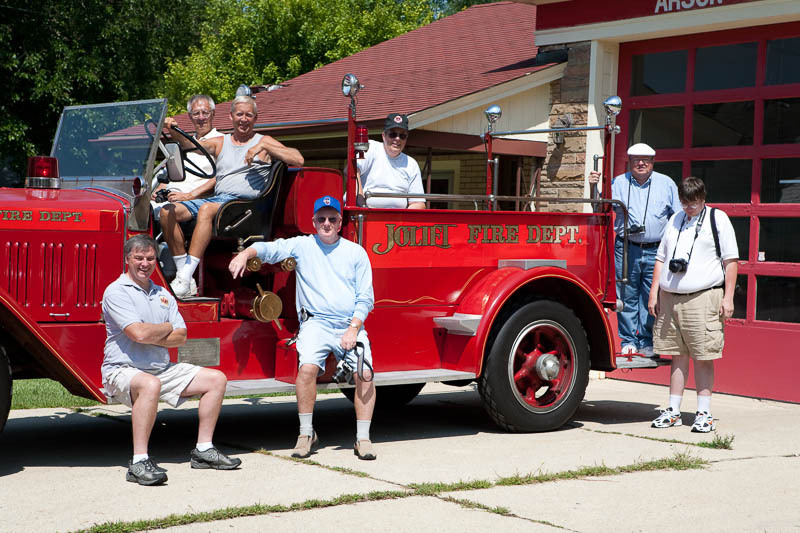 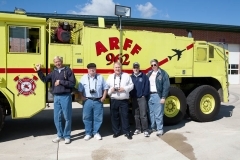 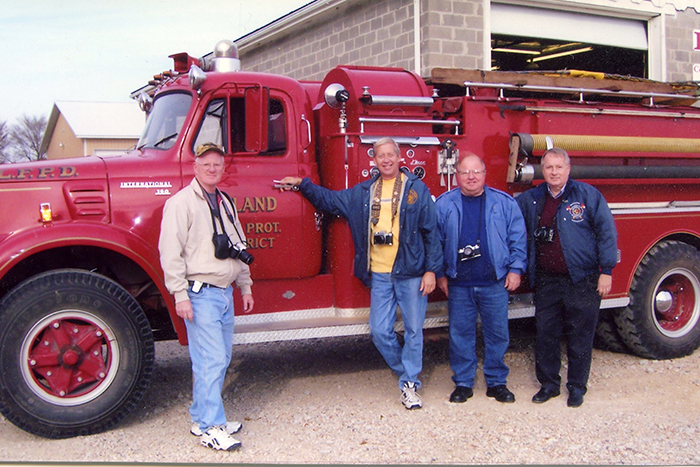 George Reichhardt served with the East Joliet Fire Protection District, retired as a captain with the Fermilab Fire Department, and was a lifelong fire service enthusiast. 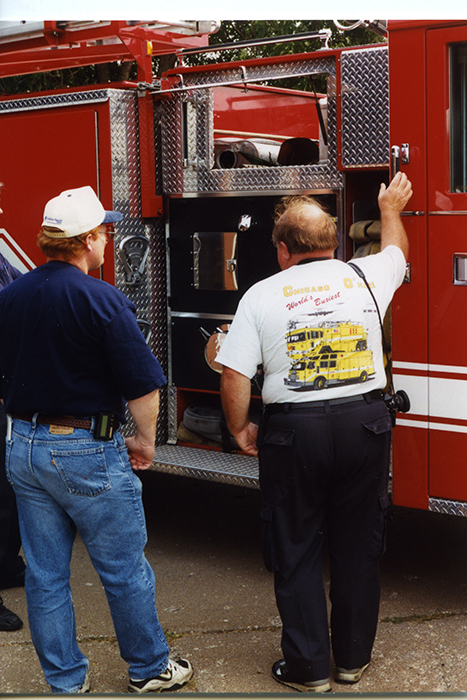 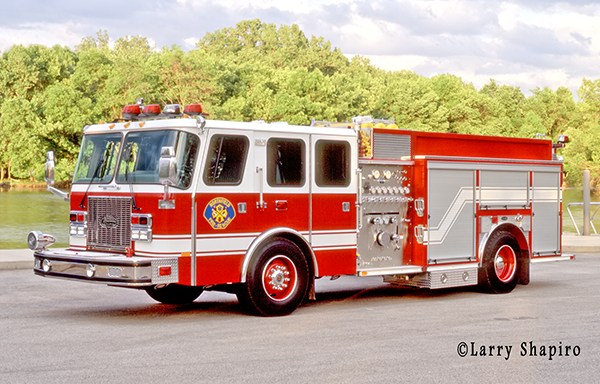 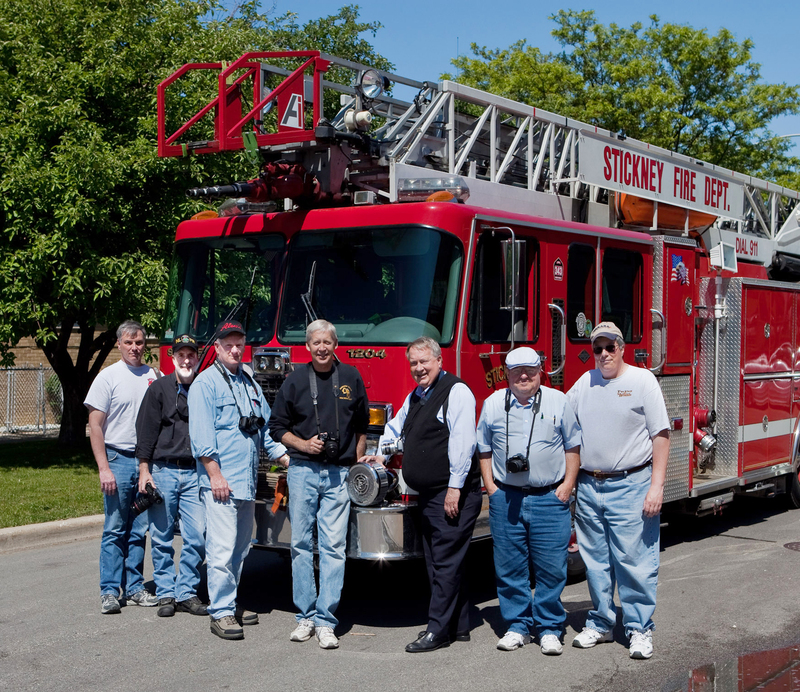 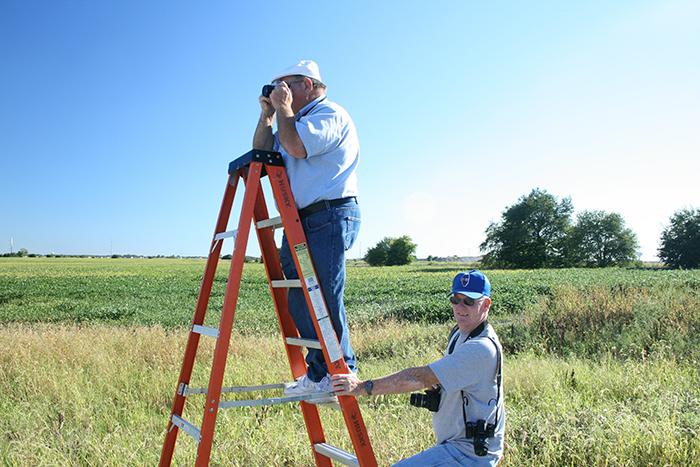 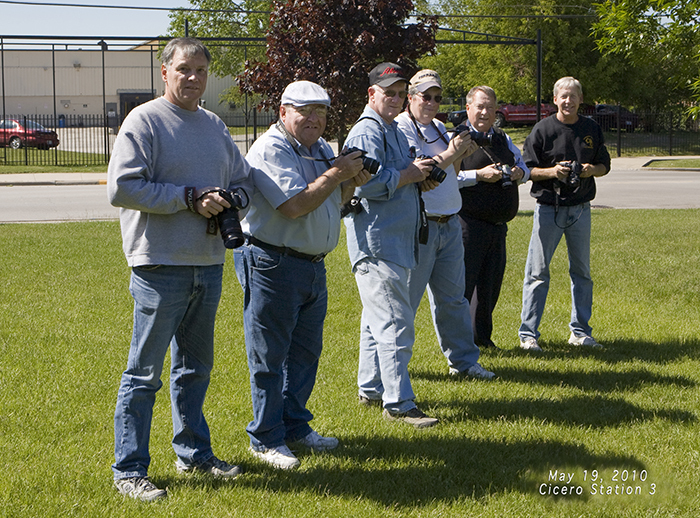 George spent many years documenting new and old apparatus from area fire departments with other photographers. 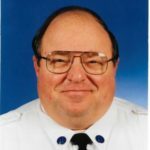 George C. Reichhardt 77, of Joliet, passed away Sunday, January 14, 2018 at Adventist GlenOaks Hospital, Glendale Heights. 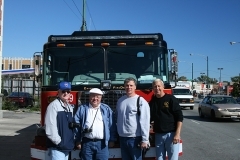 George was born in Joliet to the late Charles F. and Catherine M. (nee Briski) Reichhardt. 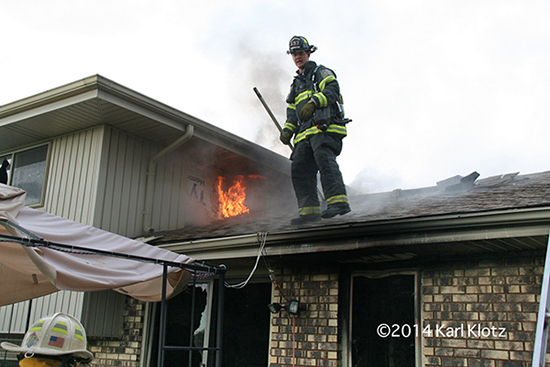 Survived by his daughter Julie K. Reichhardt; a brother Donald J. 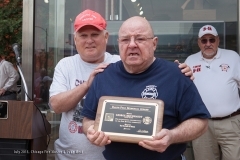 (Barbara) Reichhardt and a sister Katherine Sheck; he is also survived by step-children, grandchildren, great grandchildren, nieces, nephews, and many beloved friends. 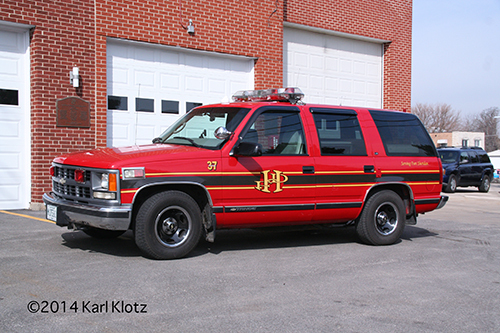 He was preceded in death by his parents and a granddaughter Christina A. Bourg. 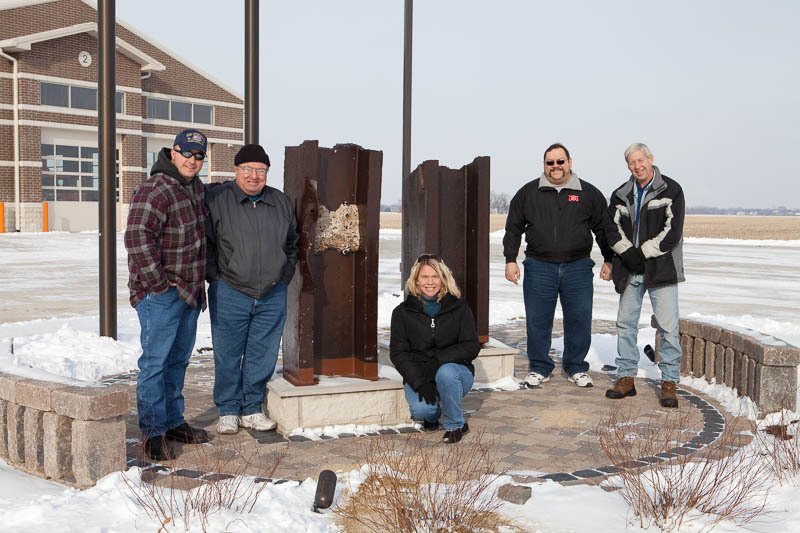 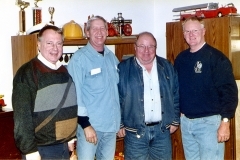 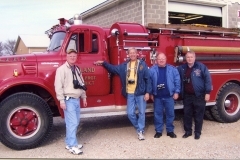 George was a founding member of Fire Buffs of Illinois, he was a member of HOIFEC (Heart of Illinois Fire Enthusiasts and Collectors), SPAAMFAA (Society for the Preservation and Appreciation of Antique Motor Fire Apparatus in America), International Fire Photographers Association, Reichhardt Raiders, and Blitz Brothers. 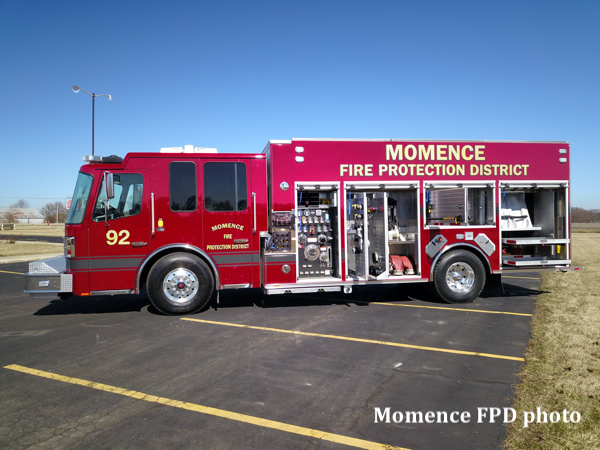 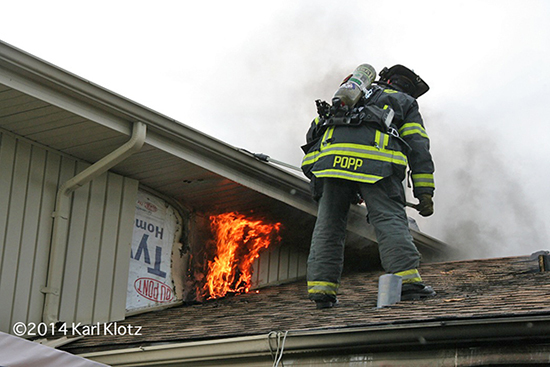 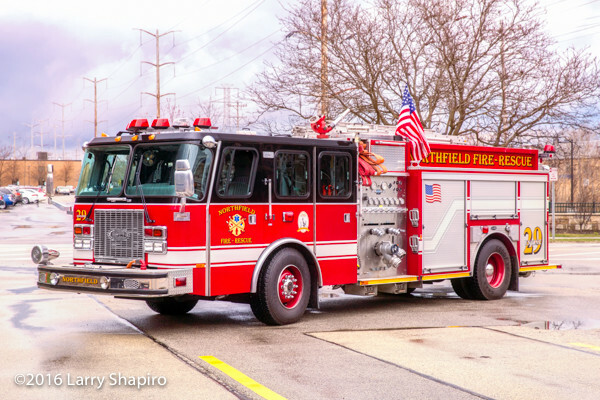 He was employed as a firefighter at the Army Ammunition Plant, East Joliet Fire Protection District, Fermilab, and Rockdale Fire Protection District. He was also a FAE Instructor and MABAS 15 Fire Photographer. 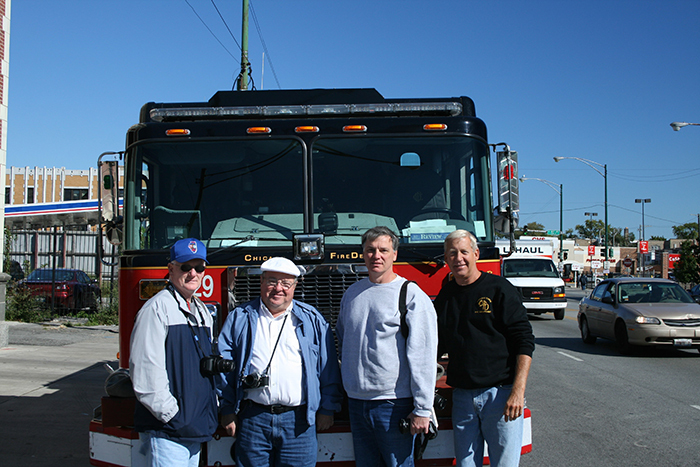 His hobbies included photographing fire trucks, fires, trains, towboats, collecting fire memorabilia, and he really enjoyed riding Chicago Squad 3 in the early days. 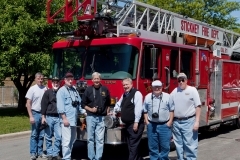 His publications include: Fire Apparatus Photo Album of the Ford Tilt Cabs – The Visiting Fireman, 1985 (Editor) and Darley Fire Apparatus – The Visiting Fireman, 1987 (Editor). 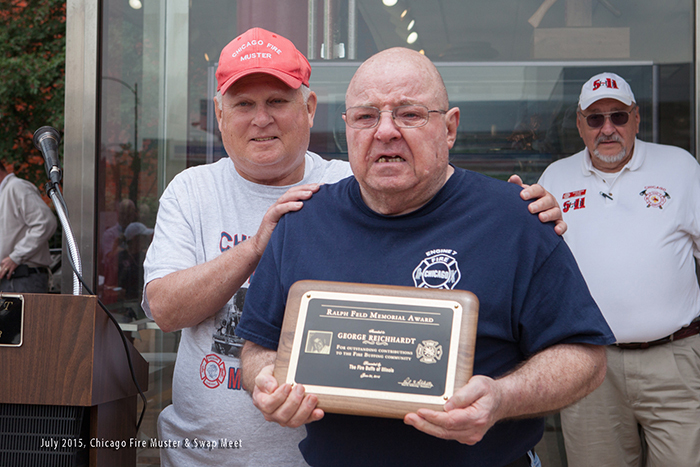 George also received numerous awards and certificates throughout his career. 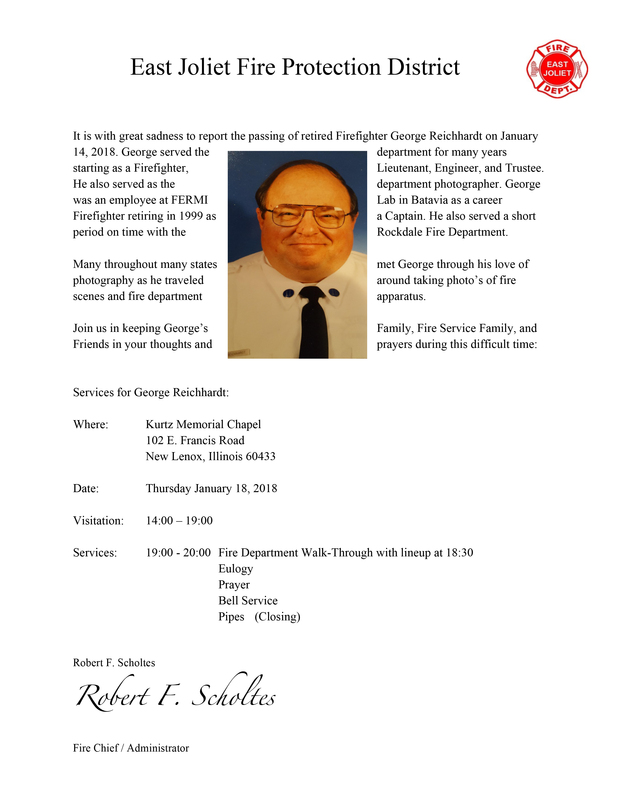 The family will receive friends at Kurtz Memorial Chapel 102 E. Frances Rd, New Lenox on Thursday, January 18, 2018 from 2:00pm until time of services at 8:00pm. 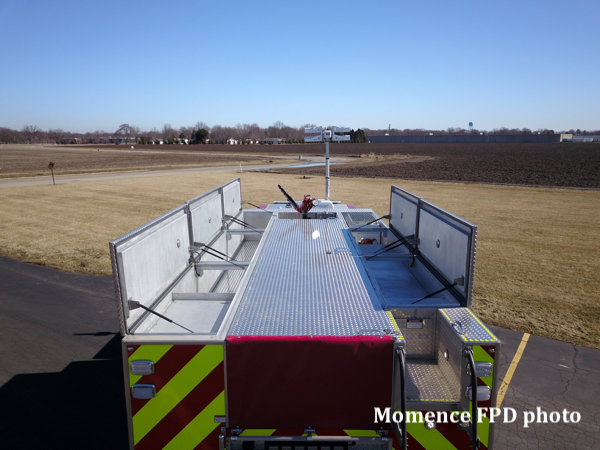 A fire department walk through will begin at 7PM. 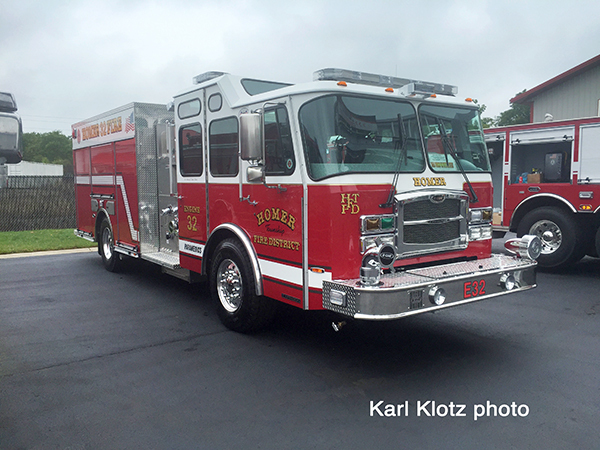 Here are a few MABAS Division 19 rigs I was able to shoot this past week. 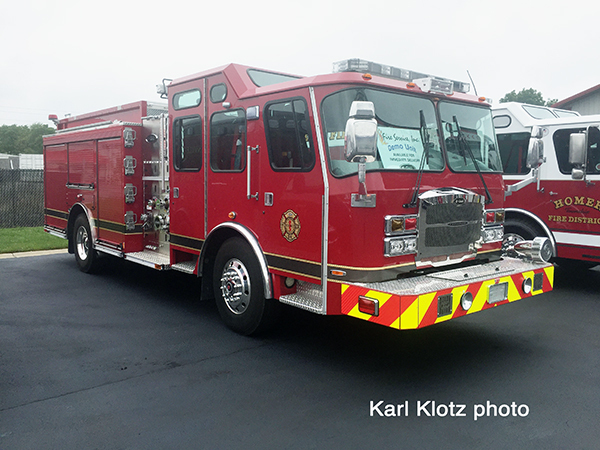 As seen around … Fire Service, Inc. 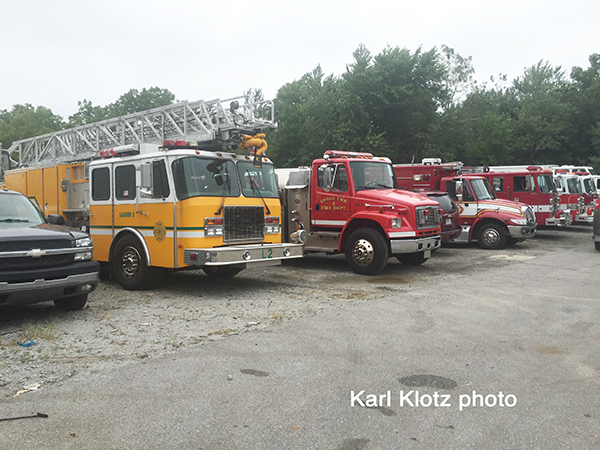 Here are some (cell phone) photos from the Fire Service Inc. open house on a cloudy September 9th in St. John Indiana. 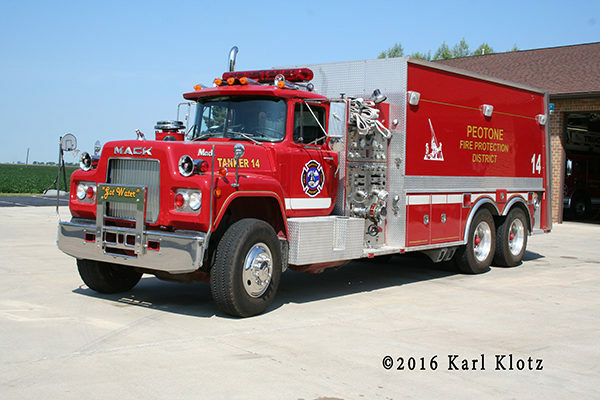 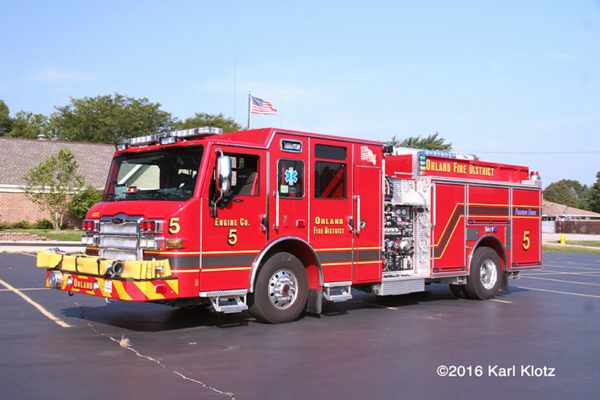 Peotone put the new Engine 14 in service on 8-22-16. 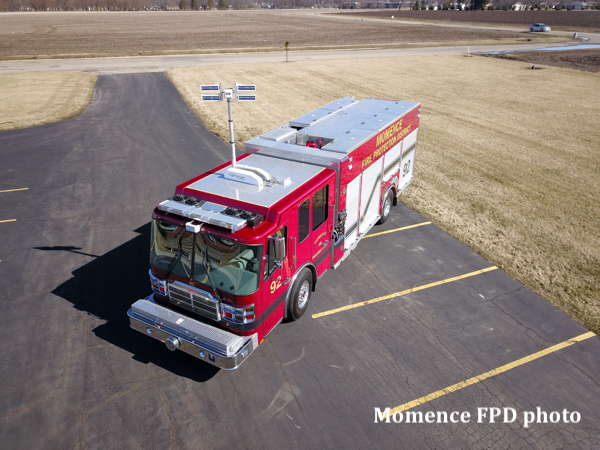 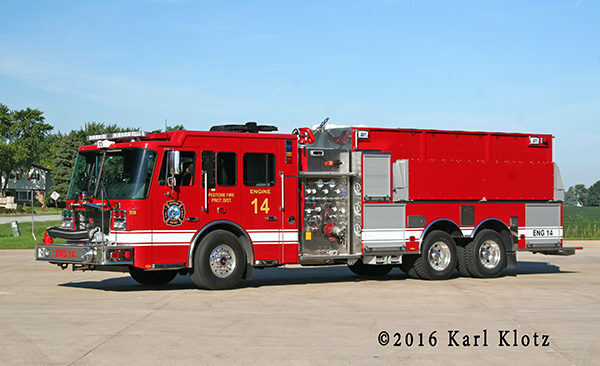 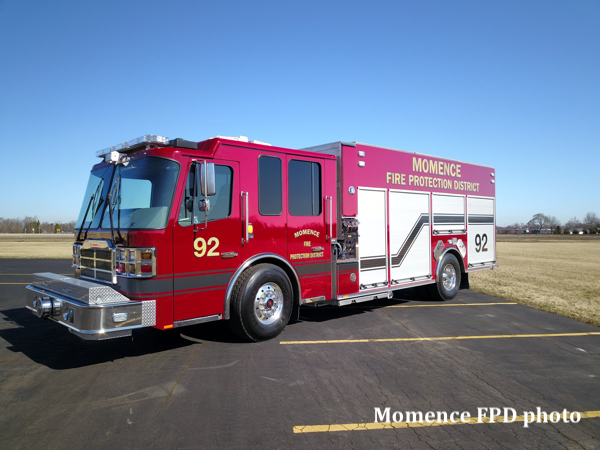 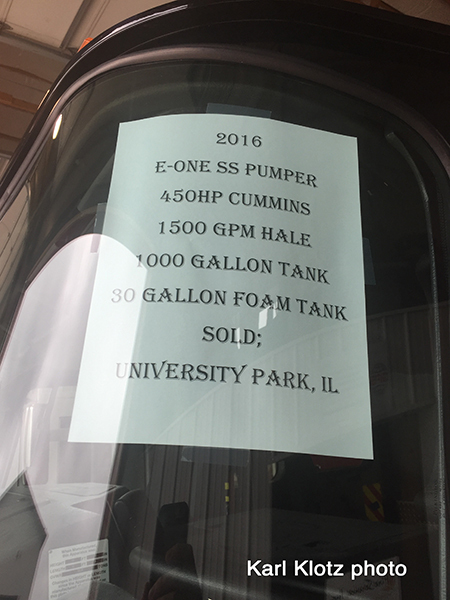 It is a 2015 Smeal/UST 1,500-GPM and carries 2,500 gallons of water. 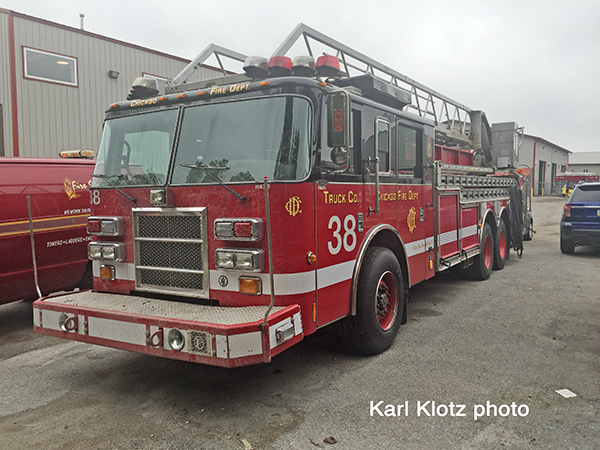 This engine replaces the 1995 Pierce Saber and the 1988 Mack/SPI tanker. 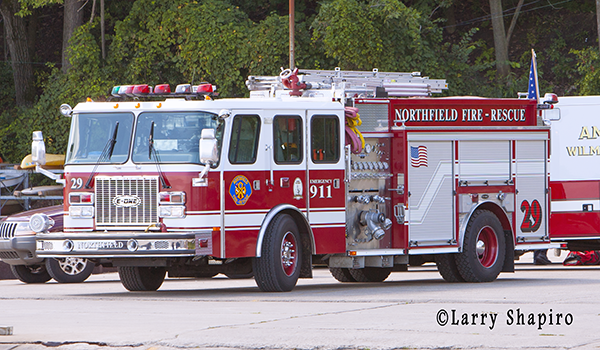 I stopped by the Northfield fire station and saw that they’ve changed Engine 29 to match the new Squad 29, with a black roof and new graphics. 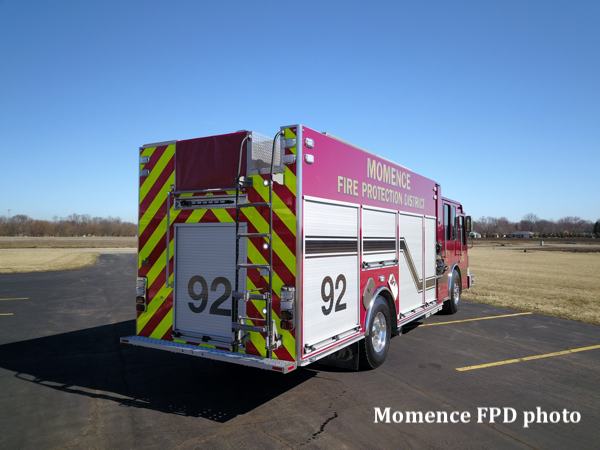 I’ve included photos of the previous graphics and the original delivery graphics. 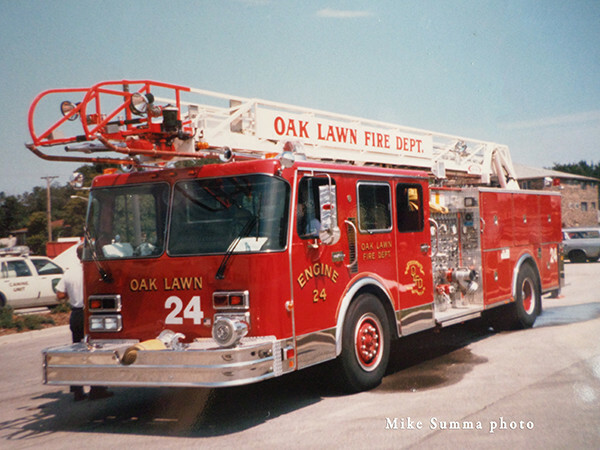 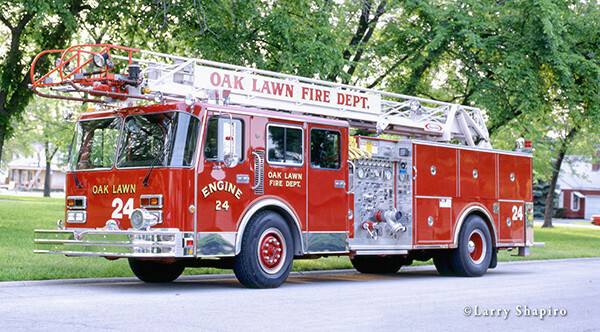 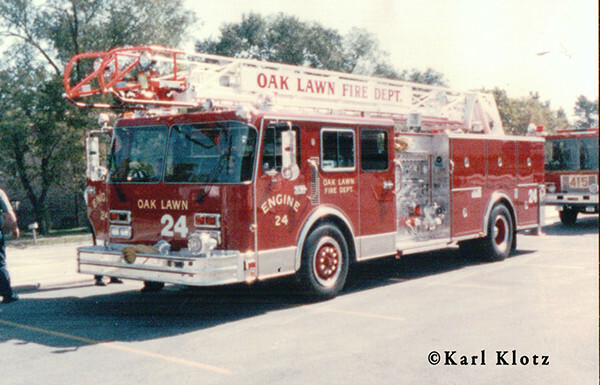 Here is a photo of an early Oak Lawn truck. 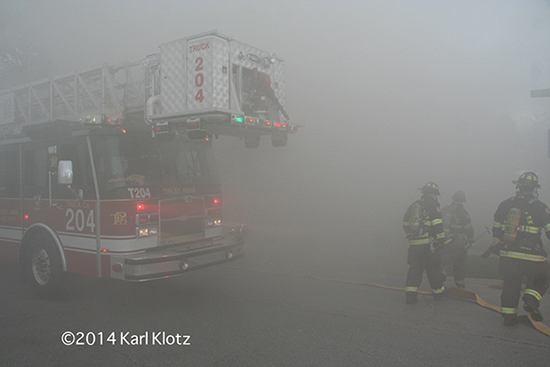 Again, I’m sorry that I have no specs on it. 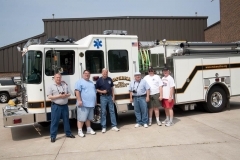 I know that it’s on a Pierce Arrow chassis. 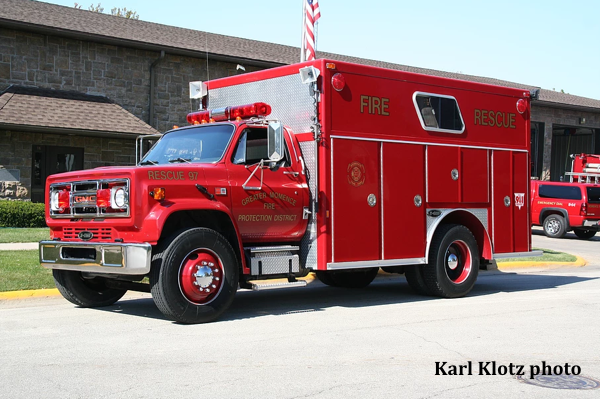 If anybody knows anything more about it, please feel free to advise. 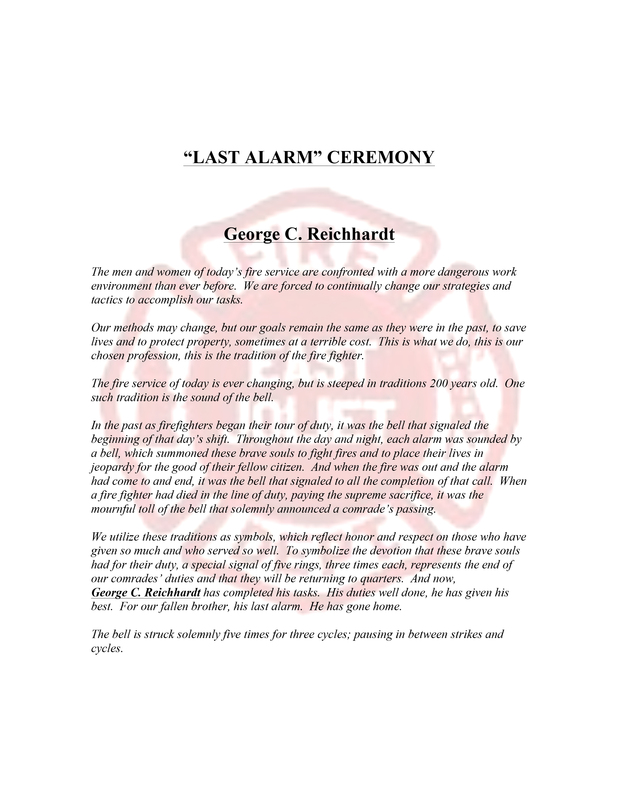 Thank you, hope you enjoy. 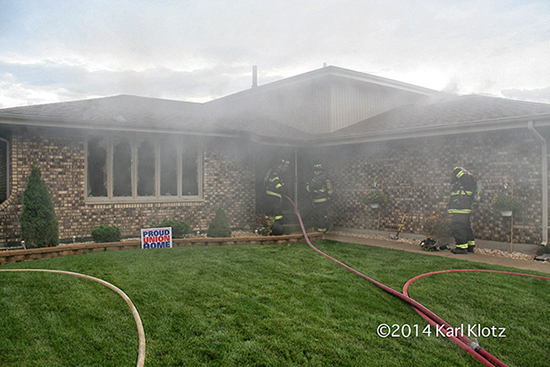 Tinley Park Working fire on 174th Street. 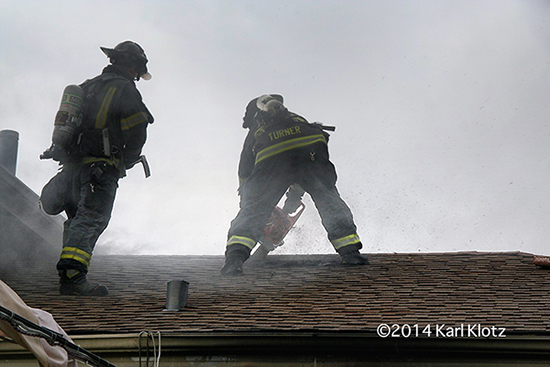 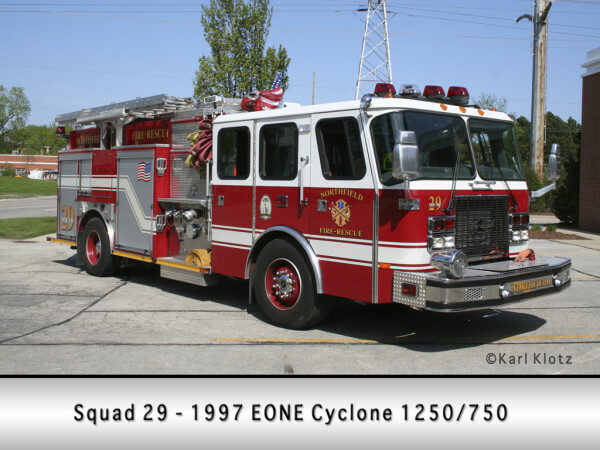 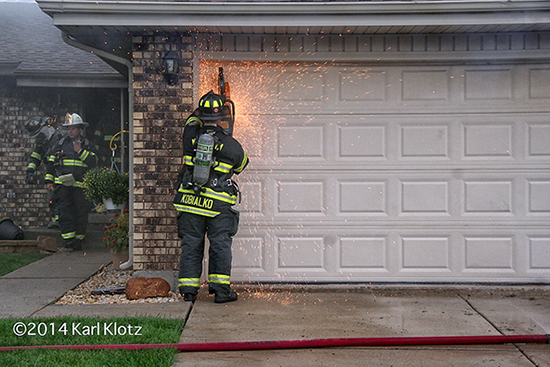 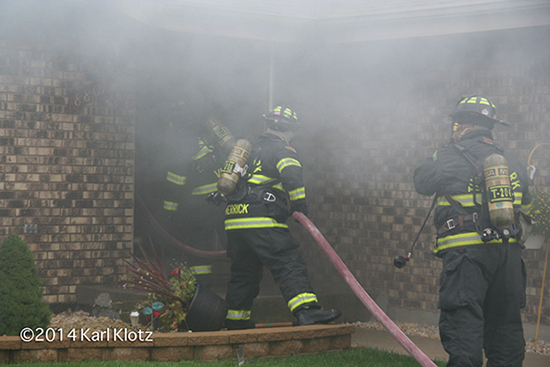 Engine Co. 203 was the first arriving engine reporting a working fire in a single-family home. 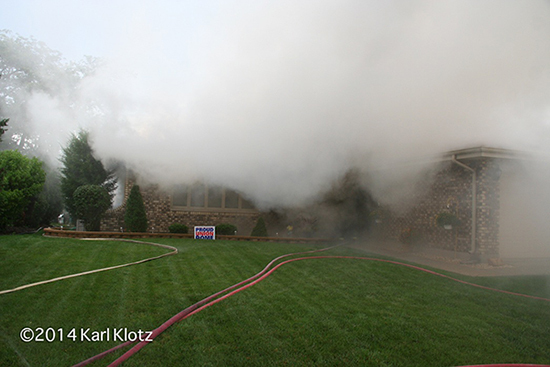 The main fire was in the first floor and extended to the second floor. 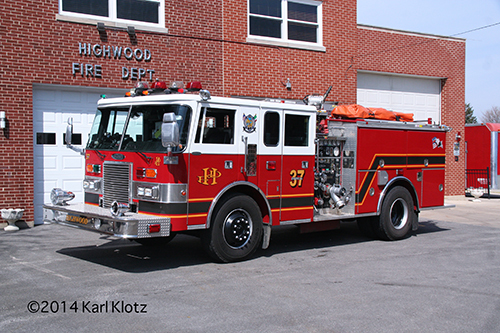 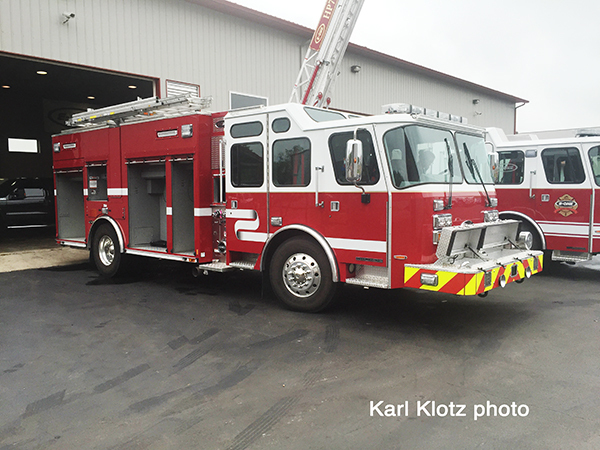 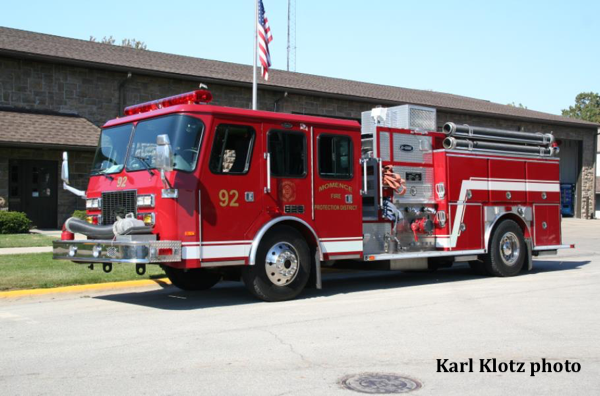 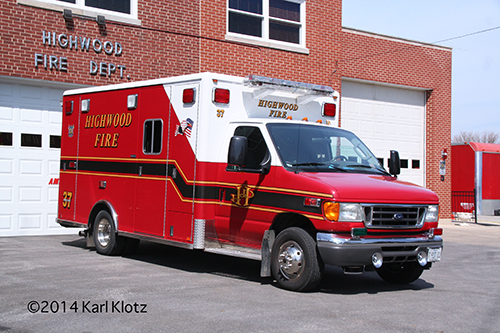 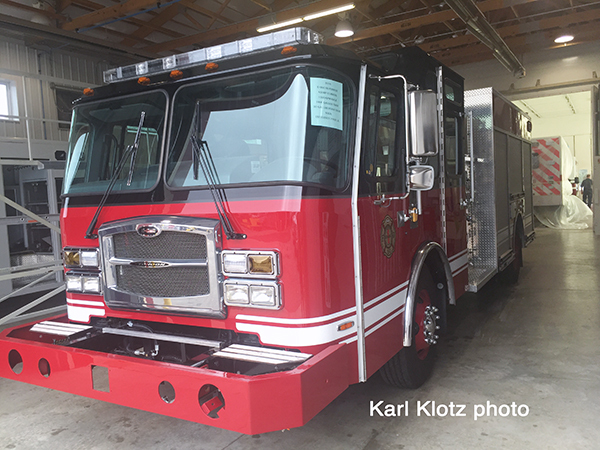 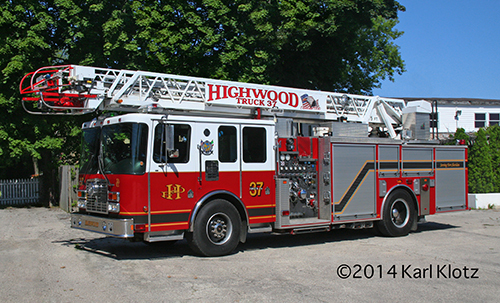 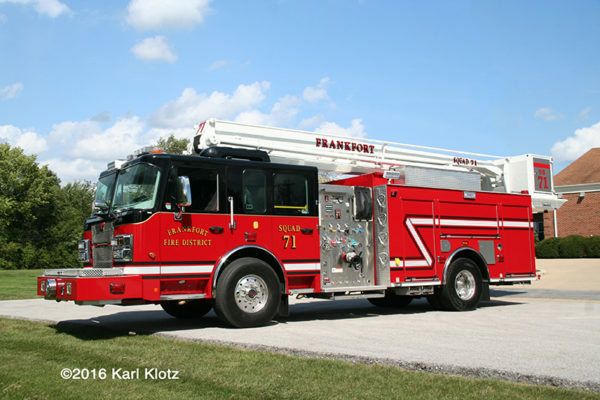 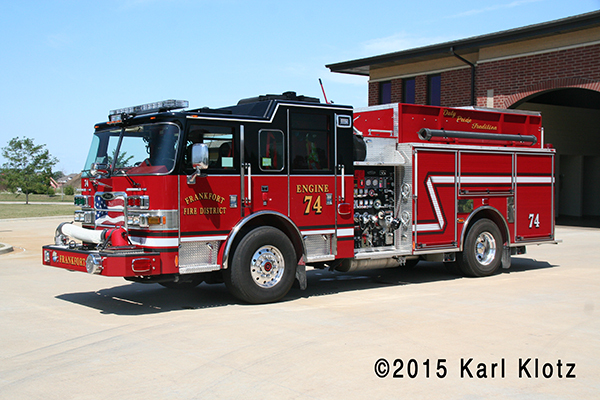 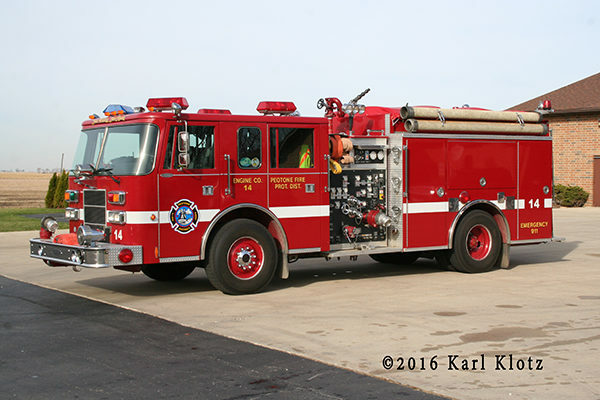 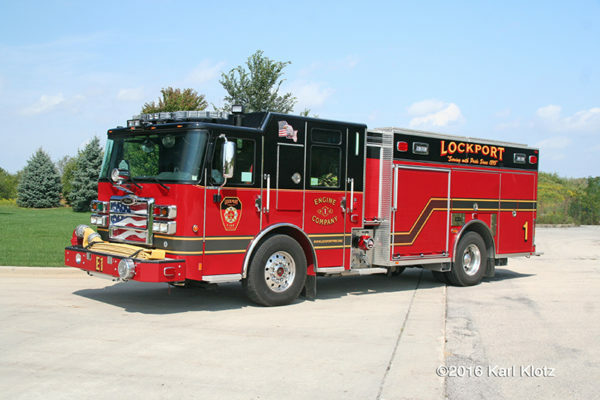 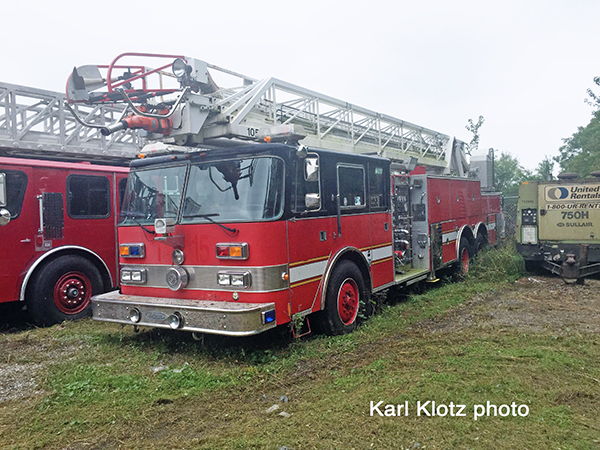 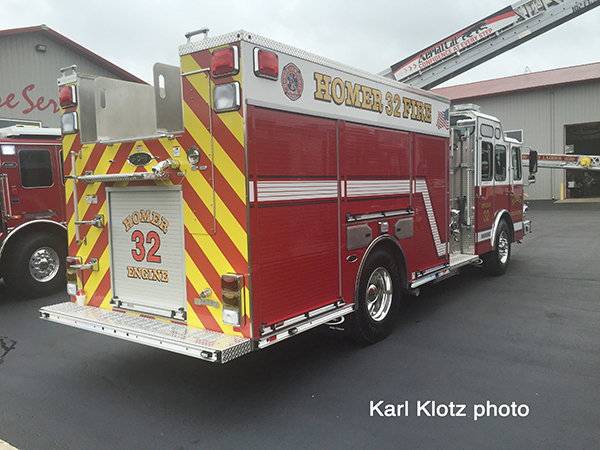 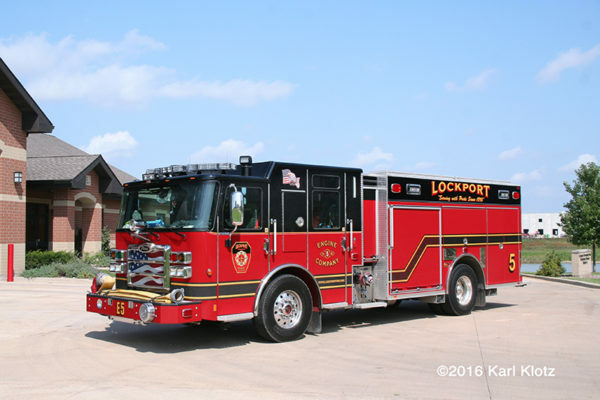 Updated images from Karl Klotz of the current Highwood Fire Department apparatus including new striping. 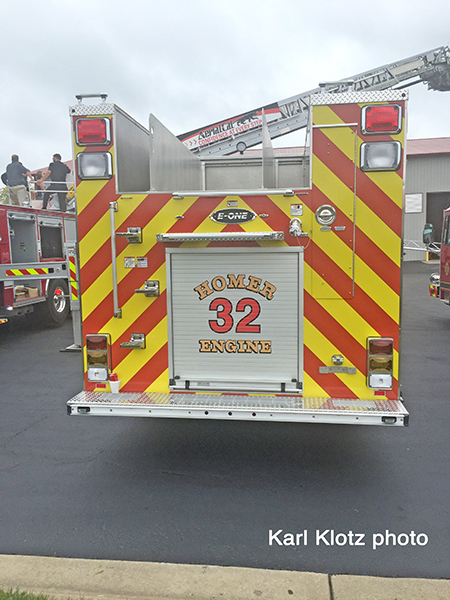 New decal for Truck 37.